Graham reckons he is bringing a good one. His mate is bringing it along in a Berlingo. Bring the gaffer tape anyway Arthur. If the showers are not as light as Phil expects, we can make rain hats out of it. I have not had access to a scanner to copy the pages for you Arthur. I will bring the book along with me. From what I can see, the connector in the footwell will ONLY work for the Subaru Select Monitor. The plug connector in the dashboard on the newer cars, that will work for either the Select Monitor, or for an OBD11 scanner, using a patch cable to connect. Well tomorrow it is then !! I've got the banner from Tony, I've got the day off work to get prepared, I've got the tentage and equipment out of the attic........ 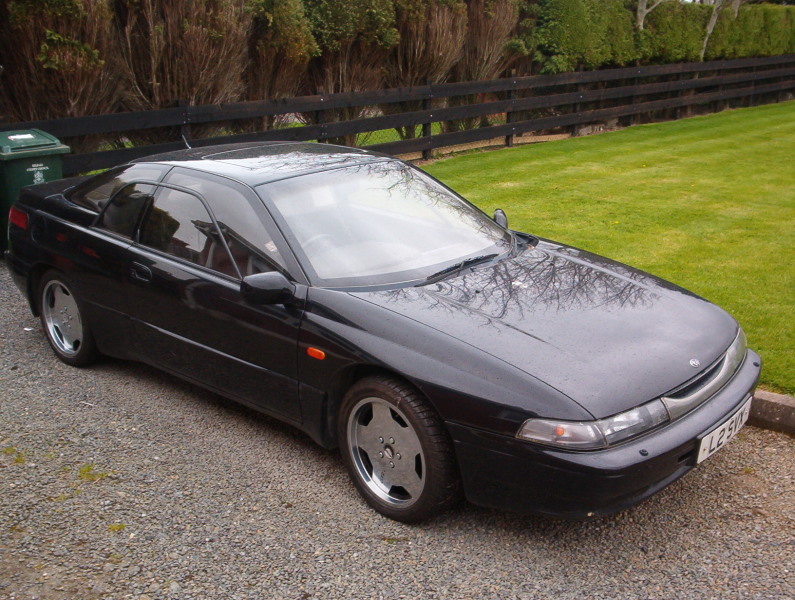 I'm hoping that others (Graham F1SVX ??) come good with the gazibo. Might be doing the set up by Mini rather than SVX as Angie doesn't have the day off work....... But hope to be set up sometime during the day. Anyway, looking forward to it already !! See you soon. Hope that you all have as good a time as last year. Sorry that I won't be there with you. Look forward to the pics. Work beckons I'm afraid so won't be able to make it either - will be looking forward to the photos though! Same here. I have been hoping until the last minute that I might be able to swing something, but I just have too much work on. I have even had to cancel my family holiday next month. I will try again next year. of independence still available under present circumstances. I'd just like to say thank you to everyone who made it down to JAE this weekend. It was really great to see everyone, both old friends and new. I'm terrible with names so forgive me if I don't remember everyone, but special thanks to Graham and Bret for bringing the Gazebo's, and Phill and Bella for turning up in two SVX's when there was some doubt if they'd be able to make it at all !! Also thanks and welcome to Mal and Peter who made the journey from the North, and to John for heading down from Scotland. Apart from the weather on Sunday afternoon I think it was a great weekend, and great to get 13 cars in total, 12 at a time on the stand both days. Stay tuned for my pics, I'm titivating them a little but they will appear in my locker soon. Hope everyone got home safely and hope to do it all again next year !! Last edited by Phil Hill; 07-24-2005 at 03:23 PM. As elegant a bunch of automobiles as you could find anywhere -no multicoloured monstrosities, no megawatt boot-boomers, no undercarriages mowing the grass - and that's just the owners! Pleased to meet you all, and remwmber - there's nothing better than SVX. Pic's are in my locker !! Yep, it's true, my pics are up. Hope you like them, I'm no David Bailey but they arn't too bad. They are 800x600 for fairly fast loading, originals are 1600x1200 so can email them on request. We had a great weekend, notwithstanding the Sunday downpour. It was really good to meet all the old friends, and all the new friends as well. I really was not expecting the number of cars we had together. Considering we had close to 5% of the total number of cars sold in the UK, not bad at all. And that was without either of my cars!! I met so many new people, I know I will leave somebody out. Just sticking with the SVX owners, it was great to meet new-to-me Brett, John, Mal, Peter, Ron, Ricky and Kristy from California, Norman, Michael and Ken. In terms of new colours, I saw for the first time the all red car of Ken's, Mal's lovely yellow car, Phil & Belha's new Peacock Blue and John's to-die-for immaculate graphite and black[James, you should have been there!!]. 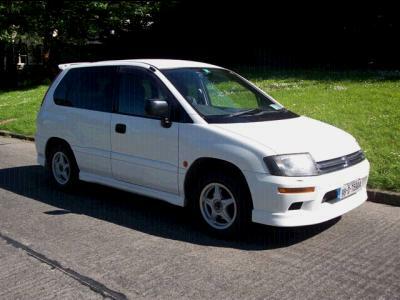 I nearly forgot my own flat pack svx [thanks, Phil ] and Ron's white car. I will have to donate my name for Plum to him, his is the Genuine Intercontinental Ballistic Missile. It's very likely if we added up the total mileage travelled by all the people there, we have a new record set. Beyond any shadow of a doubt, Ron and family have set the benchmark for miles travelled to be at an SVX meeting. I can't see that one beaten for a while. Total mileage, Ron, any idea?? I'll be having my very few photos developed and scanned later this week, and I will post them up when I get them back. Meanwhile thanks to Phil and Phil for posting theirs, very nice, fellas. We had a heart-stopping blip with the Legacy on the way home, threatened to stop and threw a Check Engine light while passing the narrow motorway section through Swansea. Did not get time to check it out yet, but I strongly suspect an O2 sensor. Considering where it nearly stranded us, I've renamed it the O F**k sensor. Thanks again to everyone who made it such a lovely trip. Looking forward to the next one already. Wales next time, is it Brett?? Where was Petr? We never saw him? Last edited by svxistentialist; 07-26-2005 at 04:28 AM. Funny you should say that Joe. Our Leggy ate it's starter motor on Sunday evening while we were picking up a takeaway. Bought a recon unit yesterday lunchtime, which Ron helped me fit last night. Ron and family have set the benchmark for miles travelled to be at an SVX meeting. I can't see that one beaten for a while. Total mileage, Ron, any idea?? I'm curious about this too. We had some people travel huge distances here for the 10th Anniversary SVX meet in Lafayette, Indiana. Nice to see you...to see you....nice! Well folks, what can I say.....speechless, what a great bunch of poeple I've met who were so easy to get along with, no ice to break here! It was a pleasure to meet you all. Thanks for the compliments folk gave me on the condition of my car and no, Joe, you dont have to die for it just plenty of elbow grease and shares in Auto Glym and you too can have the same! If it helps represent "the club" then I'm glad to be part of it. Saying that they were other fine examples that got my juices flowing, l thought yellow would be minging but Mals looked excellent being all yellow and his choice in wheels were spot on. Brets looked equaly good and the wheels were as Ron would say "awesome"....but how the hell fit 4 adults, two tents, table & chairs, gazebo, BBQ and 48 cans of Fosters in his SVX I dont know....eat your heart out Porche. BTW Bret, I haven't laughed like that for a long time you and you're wife had me in hysterics on Sat night. Great photo's so far guys and MM's short summary says it all. Phil, do you think we might qualify for a bigger Pitch next year if the interest stays the same and get one away from the dusty entrance? also for info, my whole journey in petrol cost £105.29, covered 795 miles and was on CC for about 70% of the time, which I work out to be aprox 31mpg or 470 miles on a tank full, and would have probably got over the 500 mark if I hadn't given it some stick on the last 100 miles or so. Till next year.......or maybe Wales for an interim! ?